Blagoje (Cime) Brancic (Backo Petrovo Selo, 10 March 1860 - Novi Sad, July 7, 1915), poet and translator. In Backo Petrovo Selo he finished elementary school and continued his education in Novi Sad, enrolling in high school. In the period between 1873 and 1881, Blagoje finished high school, so he decided to study philosophy in Vienna, where he spent 1881/82. year. During 1882 he went to Romania, where he continued his studies, and the following year in Prague. That same year he was also in Budapest. Blagoje Brancic very early began to engage in poetry. Already at the age of 16, he published his first work - sonet "Traction". Blagoje Brancic died in Novi Sad on July 7, 1915. Blagoje (Cime) Brancic (Backo Petrovo Selo, 10 March 1860 - Novi Sad, July 7, 1915), poet and translator. He was born on June 29 1922 in Grebenac near Bela Crkva. By ethnicity he was Romanian. Elementary and high school he has finished in Vrsac. After that, he enrolled at the Faculty of Philosophy in Belgrade. He continued his studies in Bucharest and Vienna. During World War II he was imprisoned in a German concentration camp in Zrenjanin . After the war, he graduated at Romanesque group of the Faculty of Philosophy in Belgrade in 1949. He published his first poems in the newspaper "Literary Gazette" and "Fight". His first collection of poems, "Kora" (1953) with "87 songs" from Miodrag Pavlovic are considered the beginning of the post-war modern Serbian poetry. One of the founders of the Vojvodina Academy of Arts and Sciences (14. 12. 1979) in Novi Sad. He died in Belgrade on January 5, 1991 and was buried in the Avenue of Honor at the New Cemetery. He was married to Joan Singer Popa (1923, 2000). Called "Hasa", a professor of the Faculty of Architecture, born in Vrsac. Прве песме објављује у листовима „Књижевне новине“ и „Борба“. Његова прва збирка песама „Кора“ (1953) уз „87 песама“ Миодрага Павловића сматра се почетком српске послератне модерне поезије. Та књига је покренула расправе књижевне јавности и оставила велики утицај на млађе нараштаје песника. He was born on 29.06.1922. in Grebenac near Bela Crkva. He died in Belgrade on 5 January 1991. By origin he was Greek. Finished Serbian elementary school in Cerevic and German in Petrovaradin. Five grades of grammar school he finished in Novi Sad. The final three grades he went to Szeged and Pressburg, Bratislava (1864-67), under surname Grcic. In Vienna, he studied medicine as a scholar of the Serbian Cultural Society (1867-74). Name Milenko he added himself by the name of the girl that waqs his only truly love. Because of tuberculosis, he interrupted his studies, and returned to his mother, who had settled him in the forest silence of Beocin monastery where he died. He was buried next to the monastery church with rhymes of J J Zmaj on the memorial verses "Mountain keeps your body, and a Serbhood your memory". His residual manuscripts were burned during the war in 1914. Some of the backlog of manuscripts were found and kept in Cerevic museum. Street where he was born, todays main street, is now called by his name. In his hometown of Cerevic there is also a museum with his name. Улица у којој је рођен Јован Грчић Миленко, иначе главна улица, се сада зове његовим именом. У његовом родном месту Черевићу такође постоји и музеј са његовим именом. He had six children. His oldest son, Igor Antić, is a visual artist. He wrote poems, articles, dramas, movie and TV scripts and documentaries. As film-maker, he was considered as a part of the "Black Wave" of Yugoslav film. His films, in particular Breakfast with the devil in which Antić criticized the double morality of the communists during Tito’s time, were forbidden and destroyed. They were rediscovered and restored in the end of the 1990s. Mika also acted in several movies and was a painter. He is well known as a bohemian. Mika Antić is best known as a children and youth poet, a master of delicate and gentle sentiments. In addition to poems about Romani people with whom he identified (despite being of Serbian ancestry), because of his bohemian lifestyle, and the long poem on Vojvodina published as a separate book, he is especially well known for much recited at poetry gatherings and competitions poems about teenagers Plavi čuperak (A Blond Lock of Hair). His bohemian, hard-drinking lifestyle is best illustrated by a barely translatable pun about him: "Čika Jova deci, čika Mika Antić dva deci", "Čika Jova deci" meaning "Uncle Jova to the children", referring to Jovan Jovanović Zmaj, possibly the best known children's poet. "Čika Mika Antić dva deci" means "Uncle Mika Antić two deciliters", referring to drinking from a glass, likely of alcohol. Miroslav "Mika" Antić (Serbian Cyrillic: Мирослав "Мика" Антић) (March 14, 1932 – June 24, 1986) was a Yugoslavian poet, film director, journalist and painter. He was a major figure of the Yugoslav Black Wave. He had six children. Born in Ćuprija, educated in France - Grenoble and Nice. Started Faculty of Philosophy in Paris, finished it in Belgrade. As a young man, he survived retreat through Albania! He was an associate in the avant-garde magazines "Zenit" and "Roads". His first solo book, a collection of essays, "One aspect of French literature" (1952), released at his age of 54. The first book of poetry, "Bagdala" (1954), when he was 56. He became a corresponding member of the Serbian Academy of Sciences and Arts (SANU) on December 16, 1965, and a regular member on 28th of May in 1970. У његовом родном граду. Песник, мислилац, преводилац, романсијер, есејиста и прозаиста, један од покретача надреализма у српској књижевности. У Ћупријском музеју постоји соба Душана Матића препуна личних предмета великог песника. He was born as Luka Mušicki in Temerin on 27 January 1777. His early education was most carefully conducted by his parents, first he was sent to a Serbian grammar school in Temerin; a German school in Titel; gymnasia (high schools) in Novi Sad and Segedin; and finally took up studying philosophy and law at the University of Pest, though aesthetics and poetry were always his favourite subjects. Edmund Burke, Johann Ludwig Schedius (1787–1847), Győrgy Alajos Szerdahelyi (1740–1808), and German poets Karl Wilhelm Ramler and Friedrich Gottlieb Klopstock made a big impact on him. He was also learning Greek and English. On leaving school with little means of support, he devoted himself to letters, and in 1800 published a collection of poems in Serbian magazines and journals. With Georgije Magarašević and Pavel Jozef Šafárik he published the Serpski Letopis. The poems encountered some adverse criticism from the Serbian ecclesiastical hierarchy, but secured for their poet the approbation and friendship of Vuk Karadžić. Henceforward Mušicki's life was steadily devoted to literary production and criticism. Shortly afterwards he became one of the secretaries of Metropolitan Stefan Stratimirović at Sremski Karlovci where he was subjected to a rigorous ecclesiastic supervision. His superiors were suspicious of his translating ancient Latin-speaking poets, like Horace, Lucian, Virgil and Ovid, whenever he had free time, but even more so when they found out that he knew Horace's De arte poetica by heart. Here his intentions of entering upon an academic career was for a time thwarted by his collision with his superiors. In 1802, after he had taken monastic vows and a new name ("Lukijan"), he was permitted to establish himself as privatdozent, lecturing at the Theological Seminary in Karlovci. Mušicki wrote extensively on aesthetic subjects, and poetry, and as a critic he had considerable influence, but only outside of the monastic community. It was not until 1812, however, that he attained the rank of archimandrite at the Šišatovac Monastery. 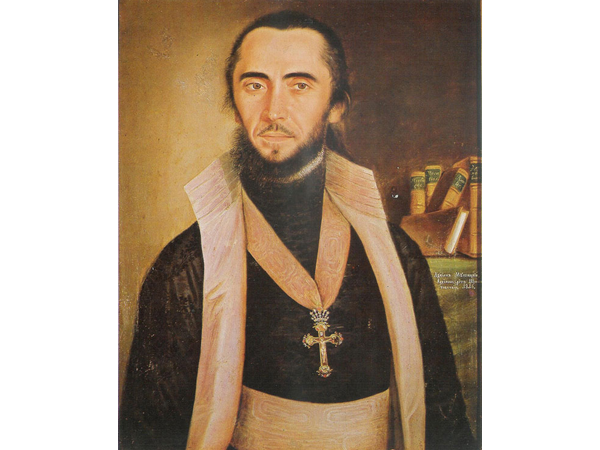 In 1828, at the age of 51, he was finally elevated from archimandrite to bishop of the Diocese of Upper Karlovci where he spent the remainder of his life. He died in Sremski Karlovci on 15 March 1837, at the age of sixty. Mušicki is principally remembered for his classical poetry and the many translations from the Latin of Horace. Most of his prose, in substance if not in manner, is that of a literary journalist. His lyrics, however, rank high in the context of Serbian 18th century literature, in pseudo-classicism. As a poet he was imitative: reminiscences of Dositej and Vezilić are noticeable in his patriotic songs; of Goldoni in his lyrical poems. He wrote hastily to satisfy artistic canons; but despite his faults he also had the merits of a pioneer, and in Serbia, Bosnia, Montenegro and other parts where Serbs live his name will endure. His collected poems and writings first appeared under the title Lukijana Mušickog stihodvorenia (The Works of Lukijan Mušicki) posthumously in Budapest in 1838 and 1840 (in two volumes), and the other two volumes were released in Novi Sad in 1844 and 1847. Born in Temerin, he became a monk, and later abbot of a monastery in Fruška Gora, whose religious poetry in Church Slavonic, a language distant from the spoken koine, but the only literary language of his time, was recognised and valued by the Serbian Orthodox Church. His secular poetry in vernacular tongue was frowned upon, to the point that he was threatened with defrocking, unless he repented, which in the end he did and stopped writing in what will only be justified as a written language by Vuk Karadžić. In the opinion of his contemporaries, Mušicki revived the glories of the 18th century period of pseudo-classicism, and scholars such as Pavel Jozef Šafárik called Mušicki "Prince of Serbian Poetry", Petar I Petrović-Njegoš referred to him as "a genius of our race," while Đura Daničić said Mušicki was "the father of contemporary Serbian literature;" this is friendly hyperbole. Jernej Kopitar hailed him as "the Serbian Horace". While such judgements are naturally somewhat exaggerated, there is no doubt that Mušicki takes a very high place among Serbian poets of his day. Indeed, Lukijan Mušicki ranks, like some of his contemporaries, Jovan Muškatirović, Aleksije Vezilić, Emanuil Janković, Vićentije Rakić, Pavle Solarić, Atanasije Stojković among the authors who have both a historical and an intrinsic importance in Serbian literature and science (Janković and Stojković in particular). They represented for the 18th century the literature of their time, and kept alive, the torch handed on to them by their maister Dositej Obradović. What is known of Mušicki's life can be read in Jovan Skerlić's History of New Serbian Literature (Istorija nove srpske književnosti), published in Belgrade (Second Edition, 1921) on pages 138–143. Sekulić was born in Mošorin, Bačka, in what is now the Serbian province of Vojvodina. Apart from her studies in literature, Sekulić was also well versed in natural sciences as well as philosophy. She graduated from the pedagogical school in Budapest in 1892, and obtained her doctorate in 1922 in Germany. Her travels included extended stays in England, France and Norway. Her travels from Oslo through Bergen to Finnmark resulted in Pisma iz Norveške / Letters from Norway meditative travelogue in 1914. Her collection of short stories, Saputnici, are unusually detailed and penetrating accomplishment in self-analysis and a brave stylistic experiment. She also spoke several classical as well as nine modern languages. Sekulić's lyrical, meditative, introspective and analytical writings come at the dawn of Serbian prose writing. Sekulić is concerned with the human condition of man in his new, thoroughly modern sensibility. In her main novel, The Chronicle of a Small Town Cemetery (Кроника паланачког гробља), she writes in opposition to the usual chronological development of events. Instead, each part of the book begins in the cemetery, eventually returning to the time of bustling life, with all its joys and tragedies. Characters such as Gospa Nola, are the first strong female characters in Serbian literature, painted in detail in all their courage, pride and determination. Isidora Sekulić also wrote critical writings in the areas of music, theatre, art, architecture and literature and philosophy. She wrote major studies of Yugoslav, Russian, English, German, French, Italian, Norwegian and other literatures. Isidora Sekulić, Književni pogledi Isidore Sekulić (The Literary Views of Isidora Sekulić) Belgrade, Prosveta, 1986. Isidora Sekulić (Serbian Cyrillic: Исидора Секулић, 16 February 1877 – 5 April 1958) was a Serbian prose writer, novelist, essayist, adventurer, polyglot and art critic. His work embodies central characteristics of Roman Catholic Counter-Reformation: religious fervor, insistence on "vanity of this world" and zeal in opposition to "infidels." Gundulić's major works—the epic poem Osman, the pastoral play Dubravka, and the religious poem Tears of the Prodigal Son (based on the Parable of the Prodigal Son) are examples of Baroque stylistic richness and, frequently, rhetorical excess.Gundulić was born in Dubrovnik into a wealthy Ragusan noble family (see House of Gundulić) on 8 January 1589. Son of Francesco di Francesco Gundulić (senator and diplomat, once the Ragusan envoy to Constantinople and councilor of the Republic to the Pope Gregory VIII) and Djiva Gradic (de Gradi). He received an excellent education. He probably studied the humanities with the Jesuit Silvestro Muzio and philosophy with Ridolfo Ricasoli and Camillo Camilli (*Siena -+1615), who in late 1590 had been appointed rettore delle scuole e professore di umane lettere in Ragusa. After that he studied Roman law and jurisprudence in general, where he held numerous offices for the Great Council of the Republic. In 1608, when he was nineteen, he became a member of the Veliko vieće (Great Council). Twice, in 1615 and 1619, he held the temporary function of knez (commissary or governor) of Konavle, an area southeast of the city. At the age of thirty he married with Nicoleta Sorkočević (Sorgo)(+1644) who bore him three sons, Frano (Francesco), Matheo (Mato), Šiško (Segismondo) and two daughters, Maria (Mara) Gondola and Dziva (Giovanna). Fran Dživo Gundulić and Mato Gundulić (1636–1684) fought in the thirty-years war under Wallenstein; the youngest died on January 16, 1682, being by then the Rector of the Republic. From 1621 until his death Ivan held various offices in the city government. In 1636 he became a senator, in 1637 a judge, and in 1638 a member of the Small Council (Malo vieće). Had he lived a little longer – he died of an intense fever, product of an inflammation in his ribs ( Folio 15 Libr. Mort. N°274, Adi le Xbre 1638 Ragusa) – he would probably have been elected knez of the Dubrovnik Republic, the highest function that was held for one month only by meritorious gentlemen at least fifty years old. His father, who died in 1624, had been knez five times, and Ivan's son Šišmundo Gundulić later four times. He began his literary career by writing poems and staging melodramas that became popular in Dubrovnik. But Ivan published only his larger works. His earlier work, which he referred to as a "brood of darkness", is now lost. His first publications were in 1621, when he rewrote several of David's Psalms and wrote several religious poems. He then wrote his famous Suze sina razmetnoga (Tears of the Prodigal Son) in 1622, composed of three "Cries": Sagriešenje (Sin), Spoznanje (Insight) and Skrušenje (Humility). In this poem Ivan presented the three basic categories of Christian faith: sin, repentance and redemption through contrasts such as between life and death, purity and sin, and Heaven and Hell. In 1637 when Ferdinand II of Tuscany married, Gundulić wrote a poem to honor the event, he noted that "all of Slavic people (Slovinski narod) honor you on this occasion". Đivo Franov Gundulić (Serbo-Croatian pronunciation; also Gianfrancesco Gondola; 8 January 1589 – 8 December 1638; Nickname: Mačica), better known today as Ivan Gundulić, was the most prominent Croatian Baroque poet from the Republic of Ragusa. Orfelin became the secretary to Metropolitan Pavle Nenadović in Sremski Karlovci, the Serbian political and spiritual centre at the time. Metropolitan Pavle wanted to establish Karlovci as an independent educational centre and evade Imperial Austrian control over censorship. In collaboration with Zaharije Orfelin, he founded the "Copper Publishing House", where the first modern Orthodox literary works and a considerable number of prints were made. Soon Orfelin began publishing poems, translating books, and creating etchings and engravings, inspired by the work of his contemporaries. 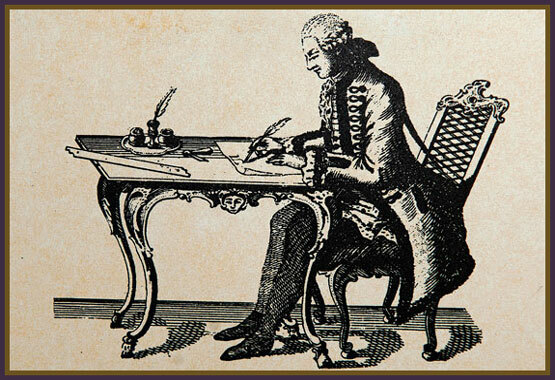 To fulfill his ambition to print more books, he moved to Venice where he founded and edited the first Serbian review, Slaveno-Serbski Magazin (1768). Poem Plač Serbii. The Lament of Serbia] and biography of Peter I of Russia Istorija o žitija i slavnih djelah velikago gosudarja i imperatora Petra Pervago are considered his most notable works. His Slaveno-Serbski Magazin paved the way to the Slavonic-Serbian language. He was the first to publish in the 18th century texts pertaining to Serbian social and cultural history when other European nations had yet to entertain the subjects. During this period Orfelin first began to write The Big Serbian Herbalium, in which he detailed the sanative effects of 500 species of herbs. And, in the Experienced Winemaker he listed several hundreds of recipes for preparation of herbal wines and other potions. Orfelin was fluent in Russian, Latin, German, and French. Saint Lazar, Serbian Great Prince, a copperplate by Orfelin (1773). The Lament of Serbia is regarded as the most notable among his poetic works of that period. He first published it anonymously in Venice in 1761. In this ode he fiercely pilloried the establishment of the Austrian Empire and the Roman Catholic Church, while also emphasizing the difficult position and unjust treatment of the Serbs under the Imperial protection. 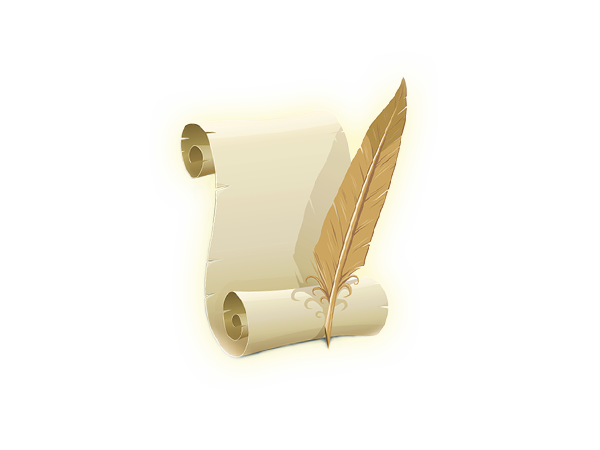 Even though the poem bore no signature, the authorship was soon discovered. It is believed that this was a reason for his hurried exit from Karlovci the following year. After leaving Metropolitan Pavle, Orfelin moved to Timisoara, the capital of the Eparchy of Banat, where he secured employment as the chancellor of the Serbian Bishop of Banat, Vikentije Jovanović Vidak. In the years he spent in Timisoara he produced The Apostolic Milk, a catechism dedicated to his infant son in 1763. In 1764, Orfelin came to Dimitrios Theodosios's publishing house in Venice, where he spent the next six years before moving back to Karlovci. Theodosios, who began to print Serbian books in Venice in 1758, needed Orfelin to edit and proofread the abundant material being brought to him. Theodosios remained the only outlet for Serbian literature and printed books in Russo-Slavonic until the emergence of Kurtbek's publishing house in Vienna in 1770. Orfelin's editorial work gave a special impetus to the success of this Slavic publishing house. In a span of a few years many important books – "Catechisis" by Peter Mohyla and another "Catechisis" by Jovan Rajić, "Srbljak" (a compedium of old Serbian writings) and "Short Stories" by Feofan Prokopovich – were published there. Many of the books published were either translated or edited by Orfelin himself. 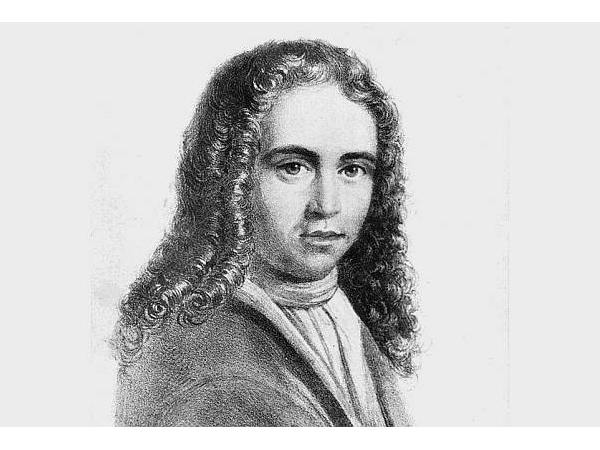 He also published his own, original works, including "A Melody for the Spring" and "A Historical Poem" in 1765, "Latin Alphabet" in 1767, and "Latin Grammar" and "Slavic Alphabet" in 1768. A large number of the books printed in Theodosios's shop in Venice were purposefully mislabelled as printed in either Moscow or Sankt Petersburg publishing houses. The reasoning behind it was that Serbs under the Austrian rule had more faith in books published in Russia than in the West. While still in Venice, Orfelin also printed one of the most important copper engravings, St. George with the Image of the Monastery of Sendjuradj (1767), and the first one that he signed as a member of the Imperial Engraving Academy founded by Austrian Jacob Schmutzer. Zaharija Orfelin (Serbian Cyrillic: Захаријa Орфелин; Vukovar, 1726 – Novi Sad, 1785) was an 18th-century Serb polymath who lived and worked in the Austrian Monarchy and Venice. Described as a Renaissance man, he was an educator, administrator, poet, engraver, lexicographer, herbalist, historian, translator, editor, publisher, polemicist, polyglot, a prominent oenologist, and traveler. Vladislav Petković Dis (Serbian Cyrillic: Владислав Петковић Дис; 1880–1917) was a Serbian poet, part of the impressionism movement in European poetry, known as Moderna/Symbolism in Serbia. He was born in 1880 in Zablaće, near Čačak in Serbia and died in 1917 on a boat on the Ionian Sea after being hit by a torpedo.Vladislav Petkovic Dis was born in Zablaće, a village near the town of Čačak in Serbia, on the 12th of March 1880, and soon made his way to Čačak, graduating from the Gymnasium and Teacher's College in 1902. He was appointed temporary teacher at Prlita, a village near the town of Zaječar. He did not like teaching, and his small output of poetry brought him little income. In 1903 Dis moved to Belgrade, and became prominent in the literary life there, when his poems appeared in Idila, a literary magazine.Vladislav Petković chose his appellation "Dis" as a repetition of the middle syllable of his first name, but also as the name of the Roman god of the underworld. He was a frequent evening visitor to the Belgrade's kafanas in Skadarlija and elsewhere where he would drink and compose new verse at the same time. Also, he obtained an appointment as a customs official with the municipal government, giving him a good income and leisure time to write. He was named co-editor, with Sima Pandurović, of Literary Weekend (Književna nedelja). Both Petković-Dis and Pandurović were considered the enfants terribles of their literary world (both being under the influence of Charles Baudelaire and other French Symbolists, like Šantić, Dučić, Rakić, Ćorović, and even Skerlić before he abandoned the movement). After the demise of the magazine, he married a beautiful postal employee named Hristina-Tinka, with whom he had two children, Gordana and Mutimir. Vladislav Petković Dis (Serbian Cyrillic: Владислав Петковић Дис; 1880–1917) was a Serbian poet, part of the impressionism movement in European poetry, known as Moderna/Symbolism in Serbia. He was born in 1880 in Zablaće, near Čačak in Serbia and died in 1917 on a boat on the Ionian Sea after being hit by a torpedo.